Professor Marilyn Lake, one of our inaugural Australian Prime Ministers Centre Research Fellows, reports on her latest work. In 2007, Professor Lake was awarded an Australian Prime Ministers Centre Research Fellowship. Her research project examined Alfred Deakin’s diaries and letters as well as other documentary and pictorial evidence to produce an illustrated book on his overseas travels. Professor Lake will also demonstrate how these travels shaped Deakin’s sense of identity. Professor Lake has been awarded a second Australian Research Council Professorial Research Fellowship to begin in 2011 to investigate the international history of Australian democracy. She will research both the impact of Australian democratic innovation - manhood suffrage, the 8 hour day, the Australian ballot, women’s rights – overseas, and Australian engagements with international organisations such as the ILO and United Nations, the translation of new human rights into citizenship rights, at home, in the twentieth century. Through this work Professor Lake is engaged with the ILO Century Project and other research programs in the US and UK. Her research will contribute to the work of a new Research Centre on Australian democracy and Human Rights at La Trobe University. Professor Marilyn Lake was awarded a Personal Chair in History at La Trobe University in 1994. She has also held a number of Visiting Professorial Fellowships including at Stockholm University, the University of Sydney, the University of Western Australia and the Australian National University. Professor Lake was awarded an ARC Professorial Research Fellowship in 2004. She has published 12 books and numerous articles and book chapters in Australian and international publications. Her particular research interests range from labour history to land settlement, citizenship, gender, nationalism and the politics of anti-racism. 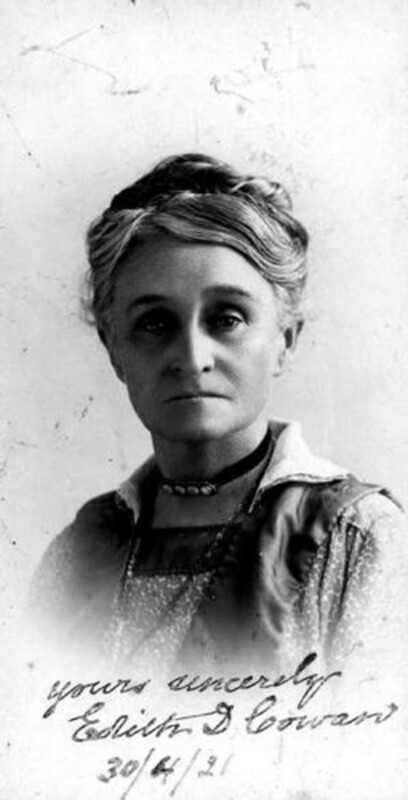 Australia’s first female parliamentarian, Edith Cowan, was elected to the Western Australian state parliament on 12 March, 1921. Image courtesy of the J. S. Battye Library, State Library of Western Australia. Michael Richards worked at the museum from 1998—2012 as a Senior Historian and as the Manager of Research and Collection Development. He read history at the University of Queensland and taught at James Cook University of North Queensland in the 1970s. Later he trained as a librarian in England, and was the first man to be employed as a librarian by St Anne’s College, Oxford, after working as a second-hand and antiquarian bookseller in Oxford for some years. He joined the National Library of Australia in 1986 and spent the next decade working on the Library’s exhibitions, before joining Old Parliament House in 1998.